New Jersey is full of beautiful, historic, and quaint scenery for those who love the feel of small towns with large urban centers at their disposal nearby. If you’re looking to relocate somewhere that has the quiet, calm atmosphere of a small town, but plenty of recreational and shopping options for a day or night out, then the township of Holmdel, NJ might be the perfect place for you. Located in Monmouth County, Holmdel offers a scenic backdrop of rolling hills and lush green parks set against beautiful, upscale housing, excellent schools, and one of the most prestigious performing arts centers in the state. Beyond the nearly endless outdoor and recreational pastimes offered in the town, Holmdel’s proximity to both New York City and the Jersey Shore make it the perfect location for commuters and beach lovers. Visit Bayonet Farm: the largest of the Holmdel parks, Bayonet Farm offers hiking, walking trails, bird watching, and cross-country skiing in the winter, all set among quaint country barns that are available for rent as wedding and event venues. Have a picnic at any of Holmdel’s seven other parks: Thompson Park, which hosts a sizable recreation area and arts center, Holmdel Park, which features ponds, playgrounds, and an arboretum, Tatum Park, which boasts an oak forest and tulip trees, as well as two indoor activity centers, Big Brook Park, where you can search archeological areas for fossils and artifacts – just to name a few. Attend a performance at the PNC Arts Center (formally known as the Garden State Arts Center): the outdoor amphitheater hosts 7,000 seats, plus room for an additional 10,500 people on its lawn, and offers concerts from May through September of each year. Join the Holmdel Swim Club: a seasonal membership gets you a pass to enjoy the club’s four pools, volleyball and tennis courts, as well as its family amenities. Enjoy a wine tasting at Fox Hollow Vineyards: the local vineyard is located on beautiful acreage that ends in an atmospheric tasting room and outdoor seating area that includes scenic views. Honor war vets at the New Jersey Vietnam Veterans Memorial: home to the Vietnam Era Museum & Educational Center, the memorial offers a way for visitors to remember and learn about those that gave their lives in service to our country. Step into history at the Holmes-Hendrickson House: this 1754 patriot farmhouse offers a taste of what it was like to live in the American colonies during the Revolutionary War era. Open during the weekends from May through September, the house is a must-see for history buffs. Learn about 19th century farming at Longstreet Farm: part of the Monmouth County Park System, Longstreet Farm’s mission is to promote appreciation for farm life in Monmouth county in the late 1800’s, by preserving historical structures and farming practices. Road trip the Garden State Parkway: the parkway, which spans 172.4 miles across the length of New Jersey from Montvale to Cape May, is minutes from Holmdel, and provides easy access to New York City as well as the Jersey coast line. 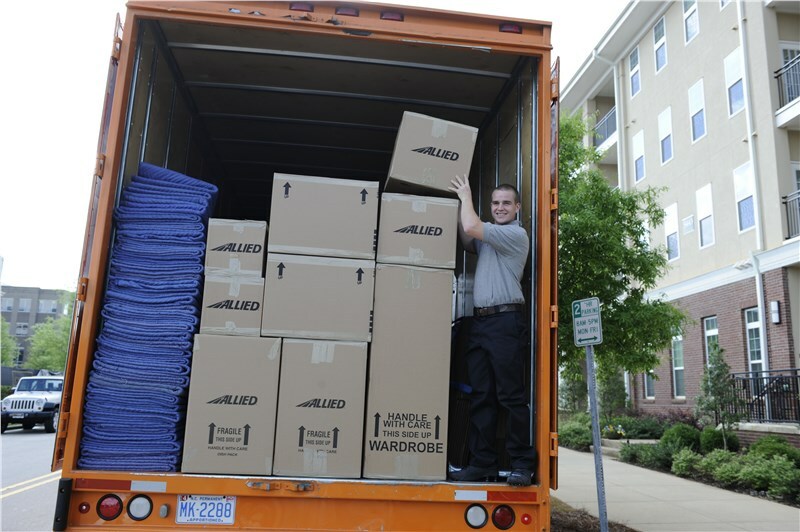 If the outdoorsy, small-town lover in you is ready to make the move to Holmdel, contact Simonik Moving & Storage, the first choice in professional Holmdel movers.